We’ll discuss some of the various measures you can take to keep your email communications as secure as possible, including encryption, spam protection, and employee awareness. Encryption plays a key role in defending your organization’s data from outside eyes. The way that it works is relatively simple to understand. Data sent on an unencrypted connection can be viewed while it’s in transit, making this kind of communications easy enough to intercept. When data is sent along an encrypted connection, the data is scrambled for all those who don’t have the encryption key to unscramble it. This means that even if someone does manage to steal data while it’s in motion, they won’t be able to read it or decipher it without the encryption key found on the recipients’ end. Depending on your industry, you might even be required to equip your systems with encryption protocols to keep data secure while it’s being sent. Examples include healthcare, government, and other highly sensitive industries that handle confidential information. When there are employees using email, there will always be spam messages and phishing attacks that could potentially expose sensitive information or credentials to would-be hackers. It’s a necessity that your organization has an enterprise-level spam protection solution filtering messages that hit your inbox. This essentially minimizes the chance that someone will click on a malicious link or download a suspicious attachment in a spam message. Since spam can be sent to countless users all over the world with the click of a button, it’s an ideal way for hackers to spread their influence without much work. Phishing attacks, on the other hand, are more difficult to protect against, as they have to be identified as malicious before they can be handled properly. Scammers can personalize messages to the user and get them to act impulsively when exposed to them, creating situations where an otherwise good employee would expose your organization out of fear that they would get into trouble for not acting. This is where the next part of email security comes into play: employee training. Sender email address: If the email address comes from an obscure email domain that doesn’t have any rhyme or reason to it, it’s likely that it’s a spam message. The sender’s intent: If the sender is urging you to take immediate action, like paying a bill or claiming a reward, think twice before clicking on any links or making any payments. Spelling and grammar: Often times hackers come from countries where English isn’t necessarily their first language, making emails from them filled with spelling and grammar errors. If the message doesn’t look professional, it’s best to avoid it. 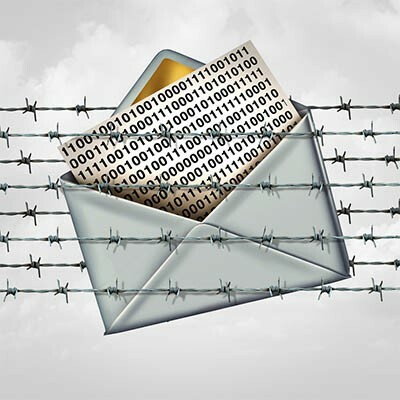 Unrequested attachments: Hackers like to spread threats like malware and viruses through email attachments. If you receive a message with an unrequested attachment, think twice before downloading it. Double-check who it comes from and whether or not it’s legitimate. Sketchy links: Before clicking on any links in an email, hover the mouse over it to see where the link goes. If it doesn’t go where the link says it goes, don’t click the link. Of course, the biggest thing to keep in mind is when in doubt, ask your IT department about the message. This is especially the case if the message seems to be from Windows support or an IT company asking to remote into the device. 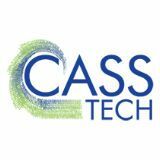 If your business wants to get started protecting its assets and reinforcing email security, look no further than CASS Tech. To learn more, reach out to us at (248) 538-7374.